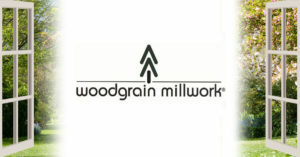 Woodgrain Millwork Residential Door products have stood for quality craftsmanship and durability in the residential construction industry for more than 60 years. The company’s extensive catalog of interior and exterior residential door products includes lineal door moulding, rails, stiles, mutton bars, casements, transoms, patio door stile and rail, and engineered sashes. They manufacture frame components, too, including: jambs, sills, sill noses, brick moulds, awnings and inside/outside stops. Woodgrain Millwork manufactures its world-renown products at seven door component facilities across the globe, including in Chile and China. The company delivers “best in class” products and service, and with its strategically located domestic and international mills, customers can choose from several delivery options with shorter lead-times. This allows architectural door and supply houses like Jersey Architectural Door & Supply Co. in Atlantic City to offer a wider range of Woodgrain Millwork products to our customers with industry-leading shipping times. For a complete list of residential door products offered by Jersey Architectural, check out our online catalog. Woodgrain Millwork Residential Door frames, sills, jambs and moulding add beauty and durability to any entryway. Real wood and faux-wood options are available, and Woodgrain Millwork regularly stocks residential door wood products made from Forest Stewardship Council® (FSC)-certified lumber. Finished Elegance®: A premiere interior residential door moulding line that is easy to install and required no painting. Woodgrain Millwork coats all four sides of this moulding with Eastman Cerfis™ technology, offering the most superior durability on the market. A complete listing of all Finished Elegance products made by Woodgrain Millwork can be found in the moulding line’s catalog. DecraMold®: This line of decorative moulding is appropriate for any entryway, including base, fluted casing, chair rail, crown, and general purpose. DecraMold® installs the same as traditional moulding, made from solid pine capable of painting, staining or varnishing. BlockShop®: An assortment of corner and divider blocks that can be used with any traditional moulding including DecraMold. The blocks relieve the need for difficult miter cuts, allowing for quick and easy door moulding installation at a more reasonable price. LifeTech®: A line of residential door components manufactured by fingerjoining Accoya® – a revolutionary new building product – to the bottom. The technology behind this is based on wood acetylation, a non-toxic, environment friendly process that improves the performance without compromising strength. These products create an effective barrier against rot and insects because their material is indigestible to insects and micro-organisms, which means all LifeTech® products come with a limited lifetime warranty against rot. In addition, this product line has shown exceptional physical durability properties during testing, standing up to everything from UV rays to wear and tear, splitting and impact damage. LifePlast®: An innovative alternative to traditional wood door frames, Woodgrain Millwork’s LifePlast line of residential door products guarantee long-lasting, rot-free, beautiful entryways that will stand up to traffic and the elements for years to come. Woodgrain builds these frames with a rigid poly-fiber formulation, eliminating the need for additional structural support. With a limited lifetime warranty against rot, their closed cellular structure prevents warping, rotting and splitting but still machines like wood. Available in three finishes: white cap (no painting required), primed (ready to paint) and embossed (ready to stain). Have Questions About Woodgrain Millwork’s Residential Door Product Lines?